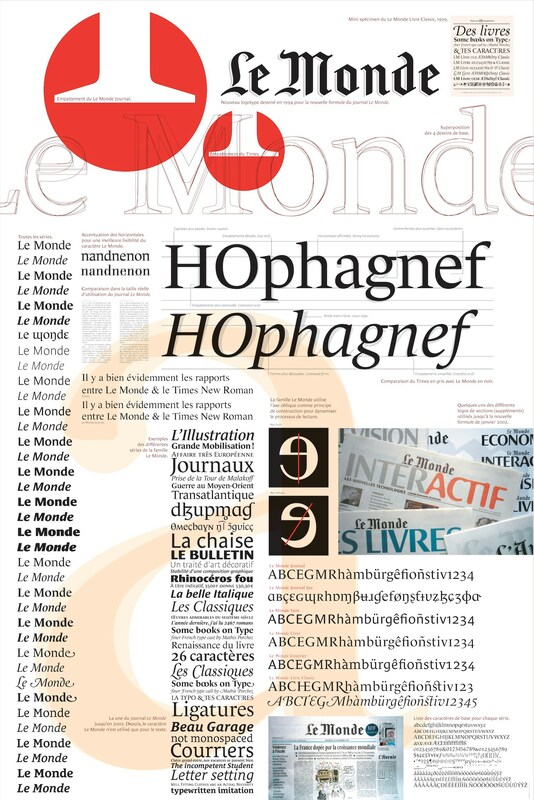 This typeface family was designed as bespoke typeface family for the French newspaper Le Monde. 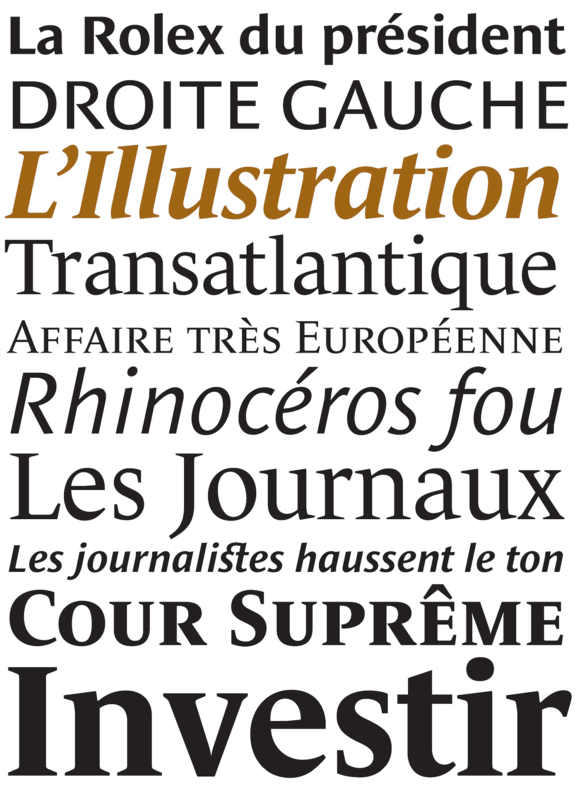 Le Monde Journal by definition is intended for newspaper use & at small sizes. Its an economical and workshorse typeface adapted to any extrem condition of uses. Even though it has the same colour as Times, it appears more open. The reading flow has been made more fluent & less abrupt. The glyphs counters are bigger, as if they were “alluminating the interior.” The form, characterized by its serifs, remains embedded in our visual memory. Intermediate weights like Book can be considered as a grade supplement of the Regular. Italics accompany Le Monde Journal. With a more delicate design & a distinctive rhythm, they remain noticeable when used with the romans. 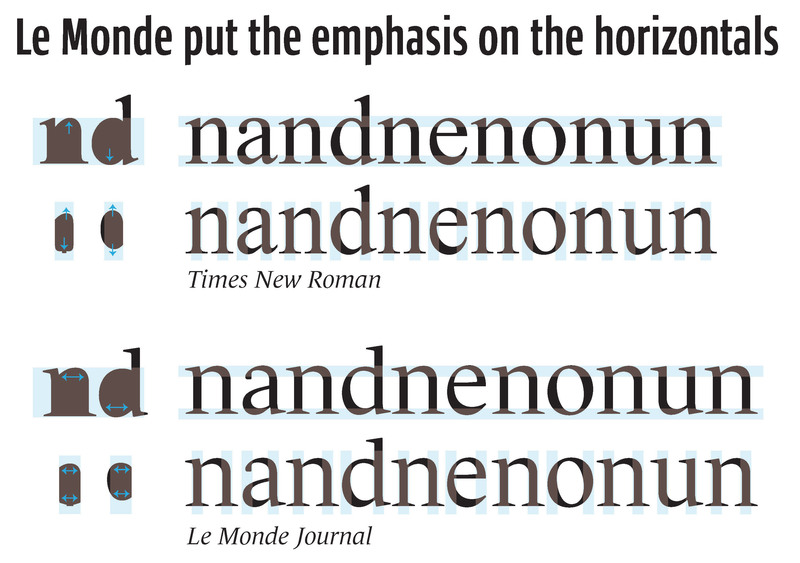 Its companion, Le Monde Sans can extend your typographic palette.